Elizabeth Ainslie works during Bushwick Open Studios. Bushwick Open Studios is a three day arts and culture festival that celebrates the community’s vibrant art scene with the goal of fostering dialogue and collaboration between local artists and residents. Now in its seventh year, the festival is hosted by the volunteer organization Arts in Bushwick (AiB) and is free and open to the public. 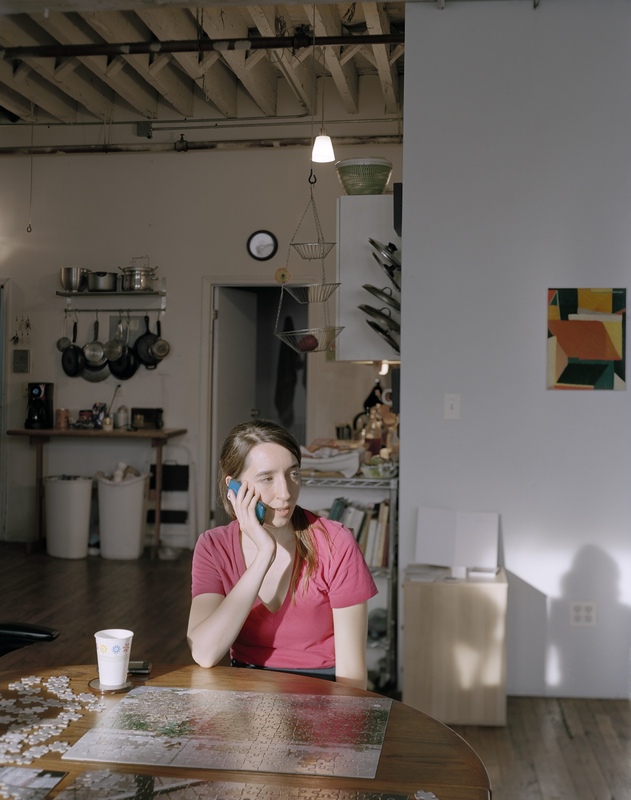 Liz exhibits her paintings in the living room of her apartment along with her photographer friend Desiree Leary who took the image represented in the puzzle. June 2013. Published November 20, 2016 at 1261 × 1600	Both comments and trackbacks are currently closed.